Sexual and gender-based violence, or SGBV, does not just affect an individual but also has the power to permeate an entire community. Often these acts are carried out during periods of conflict or post-conflict transitions when rule of law is weak and a culture of impunity reigns. In the Congo alone an estimated 48 women are raped every hour, according to a study published last year by the American Journal of Public Health. The prevalence of SGBV in Congo indicates a systematic breakdown of societal norms, paving the way for further violence and destruction. 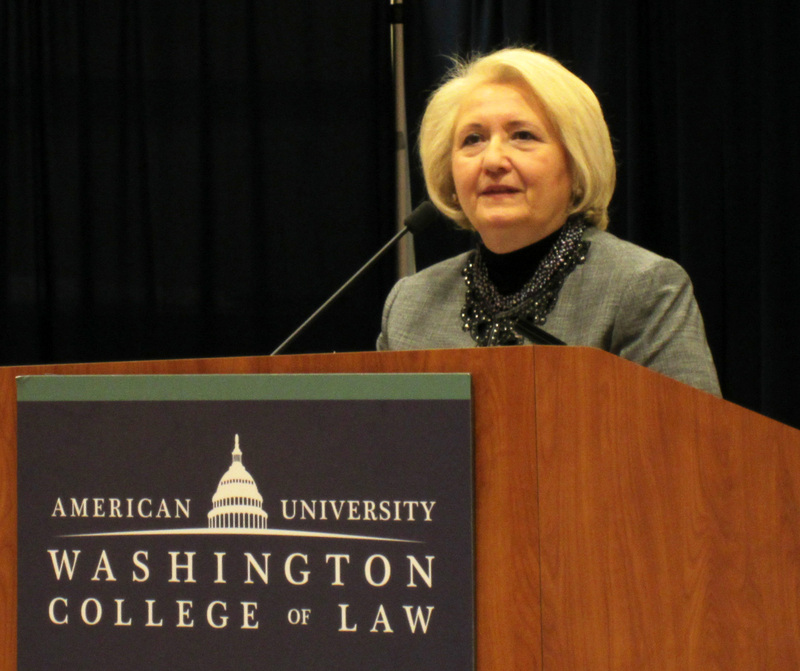 During a recent event in Washington, D.C., on national and international strategies to address SGBV, U.S. Ambassador-at-Large for Global Women’s Issues Melanne Verveer proclaimed that violence against women is one of the most serious challenges of our time. Among women aged between 15 and 44, acts of violence cause more death and disability than cancer, malaria, traffic accidents, and war combined, according to the U.N.
“The most dangerous places to women also pose the greatest threats to international peace and security, and I don’t think that is always recognized,” Verveer said. She explained that during conflict and post-conflict periods, the glue that holds communities together dissolves, allowing for legal and societal norms to fall away and militias and armed group to prevail. This causes a ripple effect in SGBV-affected communities, leading to further acts of violence and instability. To illustrate this point, Verveer compared the survivors of SGBV in hostile areas with the canaries used by miners to indicate unsafe conditions. But the role of survivors in a conflict setting is, of course, so much more than serving as an early warning sign of further instability to come. First and foremost, survivors of SGBV need support and protection—which should be a crucial role of U.N. peacekeepers. Verveer strongly supports a multi-pronged approach to address the issue of SGBV, and said the place to start is educating soldiers and police who work directly with local communities. Verveer stressed the need to unleash the capacity of local people on the ground, especially women and girls, to initiate reconciliation efforts. For this to take place, however, there must be a transformation of thinking among the local population, particularly among boys and men. Social stigma is often associated with survivors of SGBV, which can isolate survivors from their own families and communities. Verveer pointed out that in places such as India where community members, including boys and men, have been brought into the conversation, the societal attitude toward SGBV is shifting, and people are increasingly seeing sexual violence as an immoral act that should not be tolerated. The complexities of the conflict in Congo, however, do not lend themselves to simple, silver bullet solutions. The widespread impunity that has allowed SGBV to flourish at such epidemic proportions must be addressed. On this front, there has been progress in the past couple of years with innovative mobile gender courts that travel to local communities to prosecute perpetrators of SGBV. However, the percentage of cases these courts are able to see is minimal compared to the prevalence of SGBV and number of survivors. In the long-term, though, these mobile courts have incredible potential to shape legal norms and societal expectations that could deter future perpetrators of SGBV. Verveer recognized that the crisis in Congo, which has persisted for decades and possibly longer, does not have a clear light at the end of the tunnel. But tapping into the talent and leadership of women and local populations at the grassroots level and empowering SGBV survivors as agents of change will help change the course of these devastating societal trends. “In the Congo, I have seen women move from pain to power,” she said. And that is the way forward.